If you haven’t yet started with Shopify, you’ll want to do so right now by clicking here. 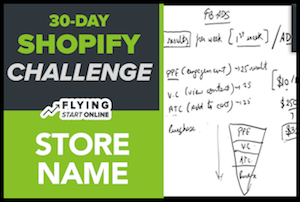 This month we’re building a profitable Shopify store from the ground up. Yesterday we revealed 3 Tips to Immediately Improve Your Theme. Today we cover 2 reasons Your “Store Is Losing Money” on Fb Ads. There are some changes happening within Facebook Advertising. Since we are rapidly approaching Black Friday and Cyber Monday, many, many more people from tier 1-3 countries will be looking to increase online purchase frequency and quantities. That said, your competition will also heavily increase, so you will most likely see CPCs (Cost Per Clicks) increase with conversions decreasing if you haven’t already. From October 15 to about January 7th, advertising switches into Holiday mode and we must adapt accordingly. All of the Facebook Advertising methods, tricks and hacks that we’ve showed you up to this point are still valid and very much useful. If you’ve been following our videos and implementing the ideas taught, your FB ads will already be optimized for conversions. However, if you’re just winging it or simply copying and pasting what other people are doing, your will not see the results, and you will not get conversions. Eventually the ad sets that were not optimized will basically be killed off completely by Facebook for under performing. While Facebook throws out “50” conversions as the baseline goal. According to our research and the word of well informed insiders, the number is actually 25 conversions per week to avoid ad set failure. When you’re creating ad sets, you have a “conversion window” option that can be set. Be sure to set yours for at least 7 days. Those who set their conversion window up for 1 day, are setting themselves up for Facebook failure. For step by step instructions on creating your Facebook ad sets, check out this post. 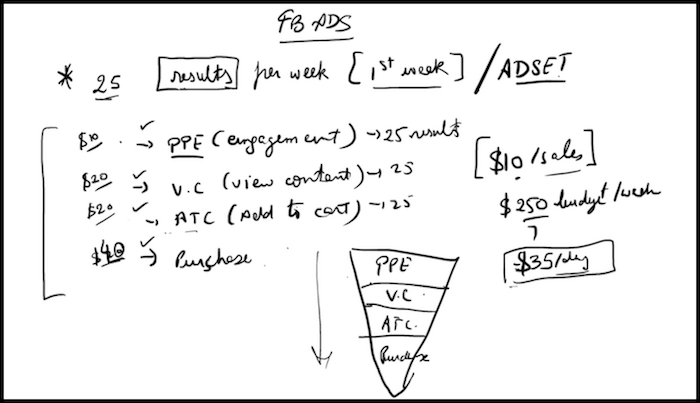 Those 25-50 weekly results per ad set, don’t necessarily need to be conversions. Facebook lets you decide which result is the goal and then judges your ad performance based on whichever settings you went with. We recommend you identify the “result” that works best for each product’s specific ad set. So pick one of your Shopify store products to promote, and create several individual ad sets with a different “result” goal for each. Launch one at a time and wait until each new ad set reaches the 25 results minimum prior to launching the next with a different result in mind. We want at least one of these ad sets to meet Facebooks minimum requirement so we can pause the others, and scale the one that is working. Especially as competition picks up this holiday season, we don’t want to disqualify ourselves right out of the gate by lacking results. That’s a wrap for Day 18 – Well done! P.P.S. Click here for Day 19!